Subscribe and we'll send you our free eBook immediately. 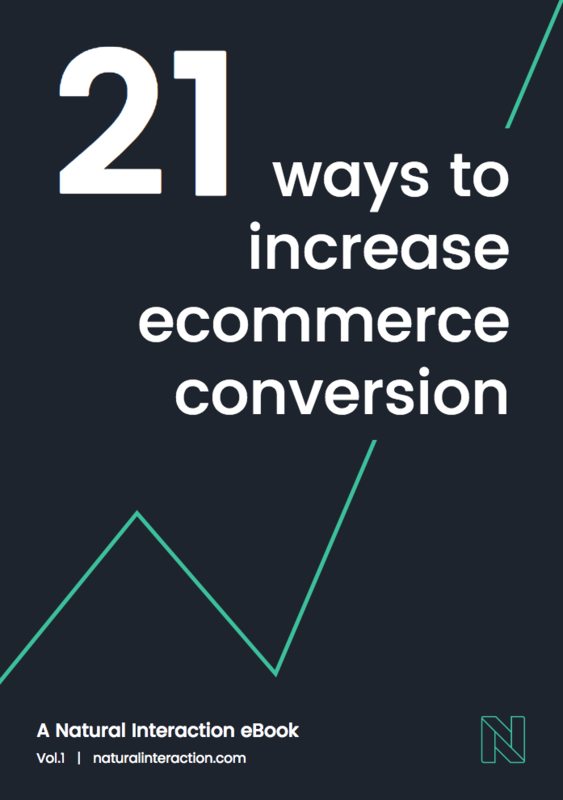 Written by our Head of Research, Kathryn Davies, this guide shows you some easy to implement ways to help increase the conversion rate on your website, whether you're looking to increase sign ups, bookings or revenue. With a degree in Information Management and over 10 years working in the UX industry for government, finance, public sector, telecoms, commercial and not-for-profit clients, Kathryn knows exactly what does and doesn't work when it comes to website conversion. Download your copy for free, now. We will email you no more than once a month about Natural Interaction news and updates, interesting UX and design thinking content.